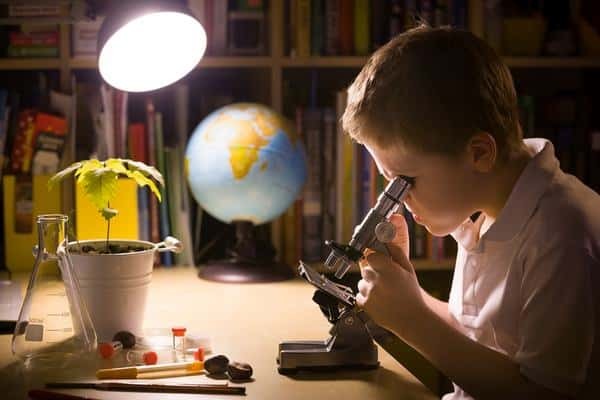 These days, it’s important to teach our children about the best ways to conserve energy, and one of the easiest ways to do that is by introducing them to science experiments. While some of these can be used for school, they can also be done at home, meaning you can benefit from this learning experience as well. There are lots of ways to teach about energy, using wind, water, solar power, and heat. Here are some of the best experiments to try with your child. Set up the solar panel on a flat surface in an area outside that gets the most sunlight during the day. Connect the ammeter and set it to read in milliamps. Without moving the panel, record the meter readings every hour from 9AM to 3PM and graph the data. Take a look through your garbage–or better yet, examine things before you throw them away–to see if they can be reused, such as milk cartons or jugs, coffee containers, and matter that could be used for compost. Cardboard boxes can be broken down and used for project display materials; in fact, try to make the entire project out of recycled materials. Containers can be cut and painted to be used as vases, pencil cups, or kitchen containers, while perishable waste like banana peels can be thrown into compost for a garden. The best part of this experiment is that it costs very little–just enough for your supplies, such as paint, glue, glitter, and scissors–and can be done in just about any age group. This experiment requires a dirty mirror or window, a bottle of store-bought cleaner, and a bottle of vinegar/water solution. With the store-bought cleaner, clean half of the mirror or window for one minute; let dry. Finish the surface with the vinegar solution for the same amount of time and let dry, then compare the results. Is a store-bought chemical any better than plain old vinegar and water? This experiment will show what we can do with natural products rather than relying on expensive–and potentially damaging–chemicals. Scientists have been watching certain fish and how they use changes in the water to conserve their energy while swimming. You can apply a similar principle to an experiment in a paddling pool in your own backyard, using a waterhose, rocks, and a pool toy or wind-up bath toy. Place the rocks in a straight line down the center of the pool with space between them and turn the hose on full blast underwater, recreating conditions similar to the spinning eddies that form in a lake or creek around stationary rocks. Wind up the toy and set it loose, recording the movements it makes as the force of the hose creates changes in the water. Move the rocks around and record any changes. Lisa Marshall wanted to start AussieWell.net after meeting some of her long-distance online friends on a trip. Being from the States, they had a lot of “typical” questions about living in Australia, and so Lisa decided to provide a newcomer’s guide — a go-to for any and all info on moving to or living in the country. Now that she invests a lot of time in her site, she continues to think about the safety, wellness, and overall lifestyle advice she can spread to Aussies and their visitors.